I’m feel completely honored to be getting so much amazing press lately. In the last few weeks, I’ve been featured on Mashable.com and BlogHer.com. 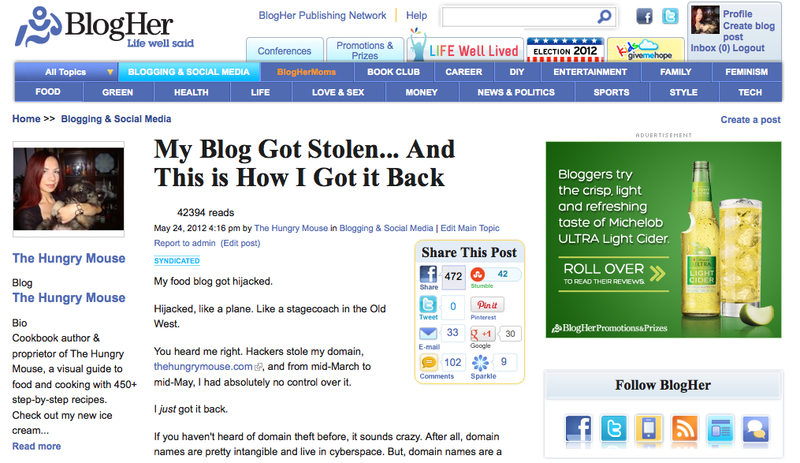 You might remember that a few months back, my blog, The Hungry Mouse, was hijacked. I just got it back a few weeks ago, with the help of Senator John Kerry, the FBI, and a whole cast of other characters. Read the whole story here. Mashable.com was nice enough to pick up the story and help me spread the word about personal security on the Internet. To date, the article has been shared 1,300 times. 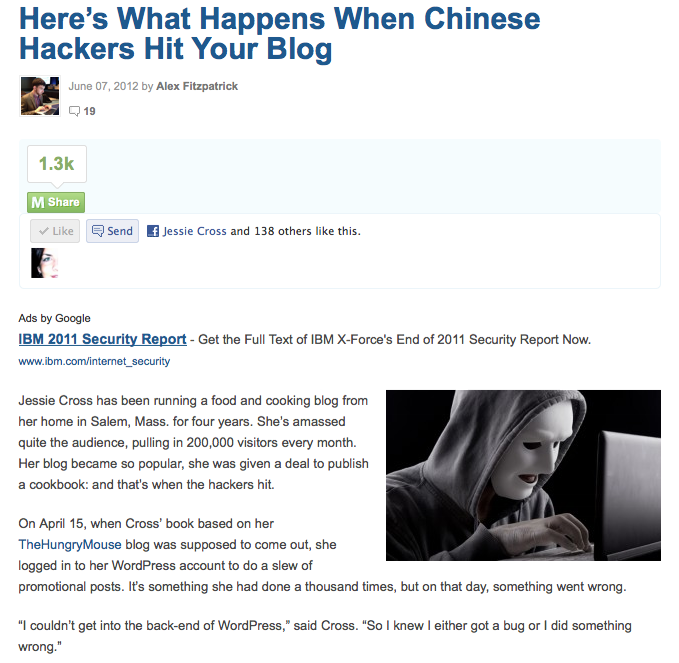 Read their coverage in Here’s What Happens When Chinese Hackers Hit Your Blog. BlogHer.com also asked to syndicate the story. At last count this morning, my post had more than 42,000 reads. (Score one for the power of syndication to get your message out, right?) Read the full story and 100+ comments here.